Kelly has added three new stamp sets and two kits to her shop today, and I have two new layouts to share using some of my favorite pieces. I am finishing up my latest Project Life spread too and I will have that ready next week. Click the images below to view them larger. Lemonade / The first idea that popped into my head after seeing the stamp set in the Summertime kit was documenting my daughter’s first lemonade stand. My photo had a busy background, so I trimmed that off and matted it on a journaling card from the kit. 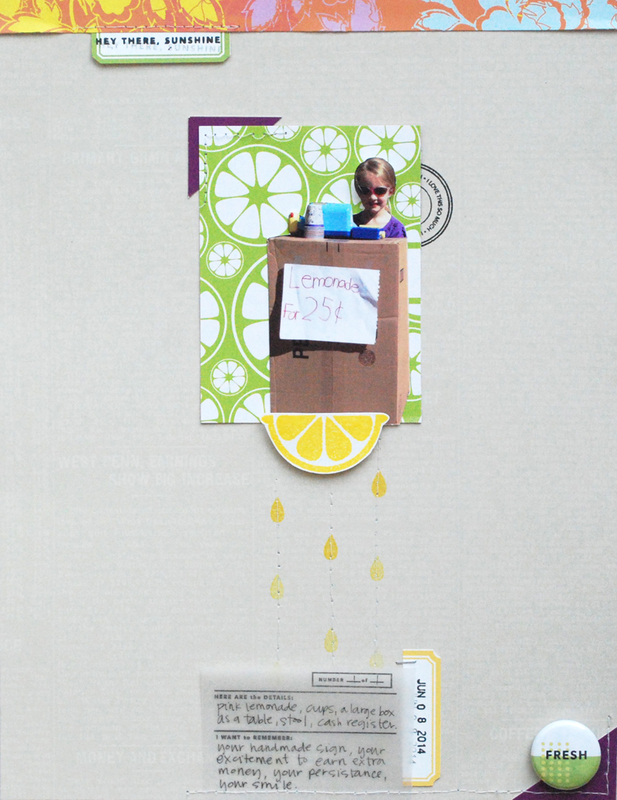 The lemon slice was stamped on white cardstock and then hand-cut and adhered with a pop dot below the photo. I added the little drop stamps below that and machine stitched through each column for extra texture. The journaling block from the Love List Mini in Minutes kit was stamped on vellum – it was just what I needed to add a little text to my layout before stitching it all down. Yeah! 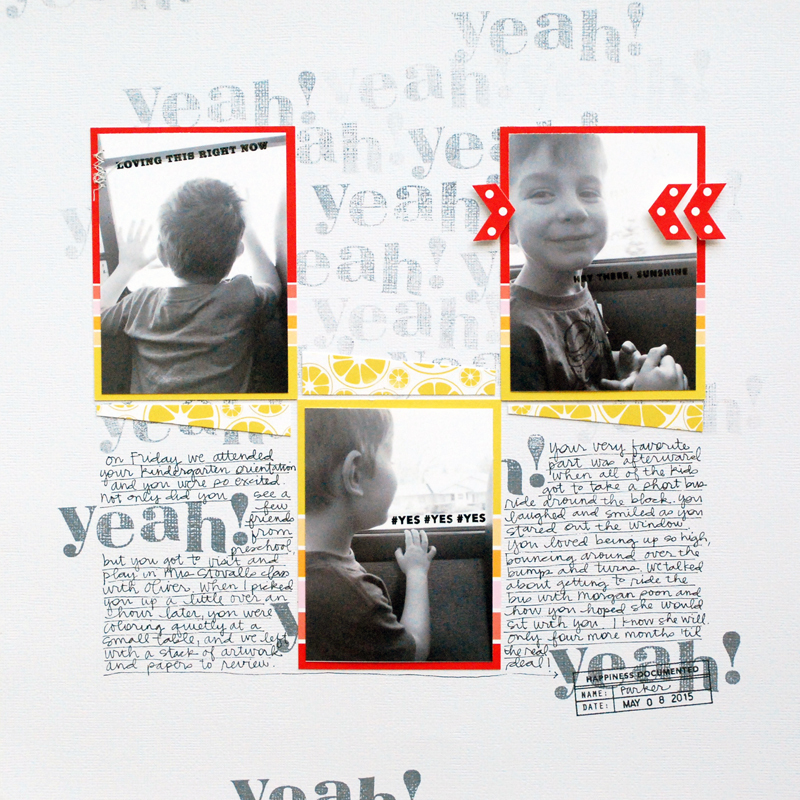 / I love the font of the Bedford stamp set and used it to stamp out “yeah!” all over white cardstock as the background of my layout. I kept the first stamped images near the bottom of the page and 1-2 stamp-offs on the top. After printing a series of photos of my son in black and white, I matted them with a slight border on a few bright journaling cards from the Summertime kit and staggered them across my page in a checkerboard pattern. The remaining blank sections provided the perfect space for my journaling. The best way to get info on Kelly's products, new releases and shop updates (often with a discount code!) is to sign up for her newsletter on her blog. You can find that on the right sidebar here. Ready to go shopping? Check out Kelly's shop here.